NEW 2018 Versions! 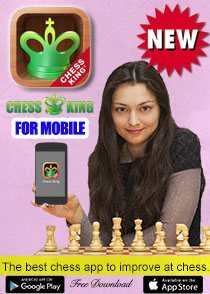 The new Chess King 2018 is better than ever. 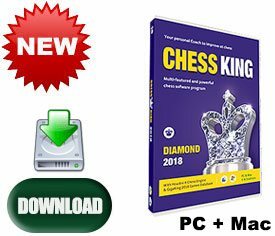 It now has the best interface it’s ever had, compatible with up to the latest Windows 10 and Mac OS X 10.13 High Sierra Operating Systems, has the largest game database GigaKing 2018 available, and features the strongest engine in the world, winner of the recent Season 10 of the Top Chess Engine Championship, becoming the engine with most titles in TCEC history. 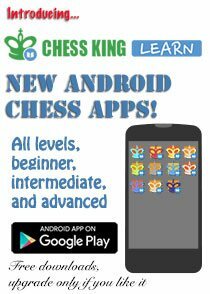 Make Chess King 2017 your coach and partner for 2018! Is Houdini 6 worth it? Yes! 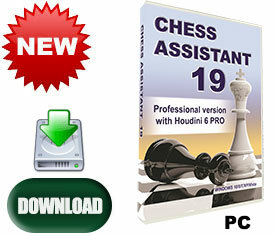 One can say Houdini 6 is the “world champion” of all of the world’s chess engines, rated so far above 3000 that no human has any chance to beat it. Computer engines have made amazing progress these last years. Houdini 6 continues the impressive surge made by its predecessor by adding another 50 to 60 Elo in strength, to become once again the strongest engine that money can buy. 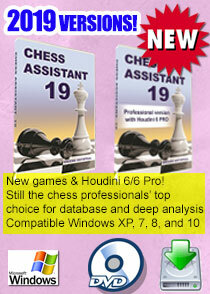 This playing strength increase means that Houdini 6 is stronger than Houdini 5 using twice the time; or in other words, upgrading to Houdini 6 is like doubling the computational power of your computer for chess. Every aspect of the engine has been thoroughly reviewed and refined: evaluation, search, time management and table base usage. Houdini 6 makes better use of multiple threads and will be particularly strong on hardware with many cores. To take into account the recent availability of mainstream processors with 8 cores, Houdini 6 Standard version now supports up to 8 threads. On high-end hardware Houdini 6 Pro can make use of up to 128 threads. You only need to upgrade if you have changed your computer’s operating system to a newer one. For Windows, mostly there is no problem as Chess King has supported Windows 10 since it came out. For the Mac, Apple has changed the operating system significantly, especially in the fall of 2017, which forced us to write a new version of Chess King to be compatible. 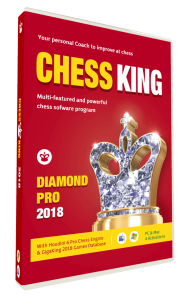 Chess King 2018 is compatible with the new OS X 10.13 High Sierra. We also have a free High Sierra update for owners of Chess King 2017. 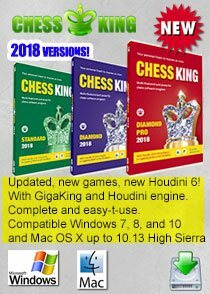 If you have any Mac version prior to 2017 you will need to get a new version. 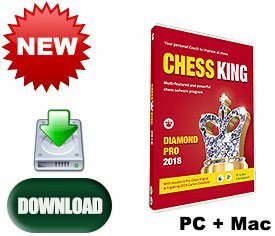 For both Windows and Mac prior users, you will want to upgrade to the latest 2018 version to have the newest interface with all functions, to get the most complete and updated Gigaking game database, and to use the newest and strongest engine in the world. 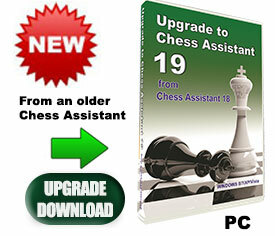 We provide Discounted Upgrades for every owner of any prior version of Chess King. 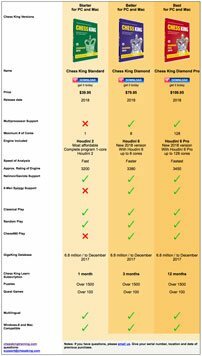 Upgrades are in fact full versions sold at a cheaper price for registered users. 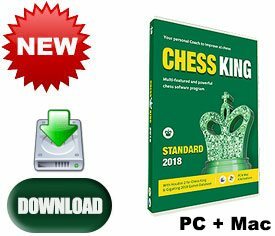 You can upgrade from any old version to any of the 2018 Chess King versions. If you have questions, contact me or Diego and we will be glad to help. 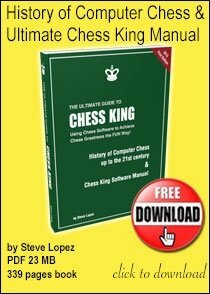 questions: support@chessking.com Notes: If you have questions, please email us. Give your serial number, location and date of previous purchase.